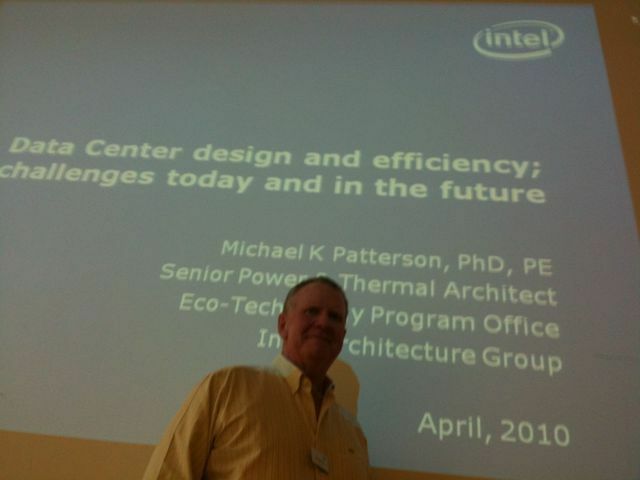 More than 17 persons attended the presentation and open discussion with Mike Patterson, Senior Power and Thermal Architect at Intel Corporation. Mike has been welcomed at ETH Zurich by Vittoria Rezzonico (hpc-ch and EPF Lausanne). An important message of Mike has been to be consequent in addressing energy issues in the data center. So it is important not only to plan, but also to measure and then manage the energy being used in a data center. If you could not addend the presentation, then you can have a look to the slides of Mike Patterson .